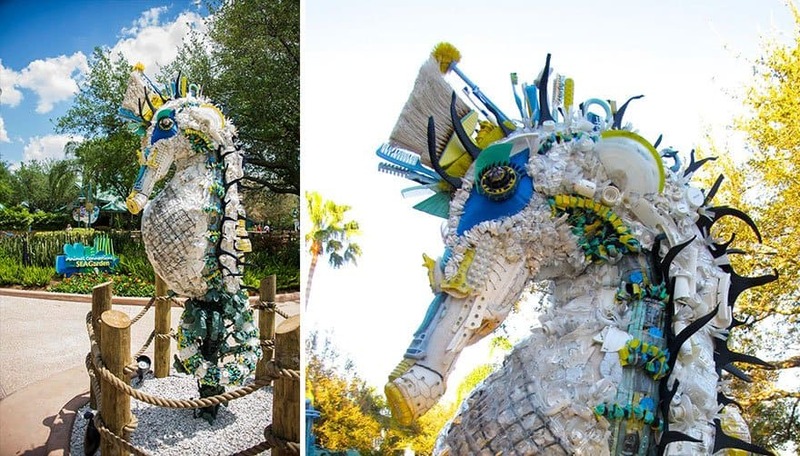 This seahorse is a beautiful representation of its living counterpart. 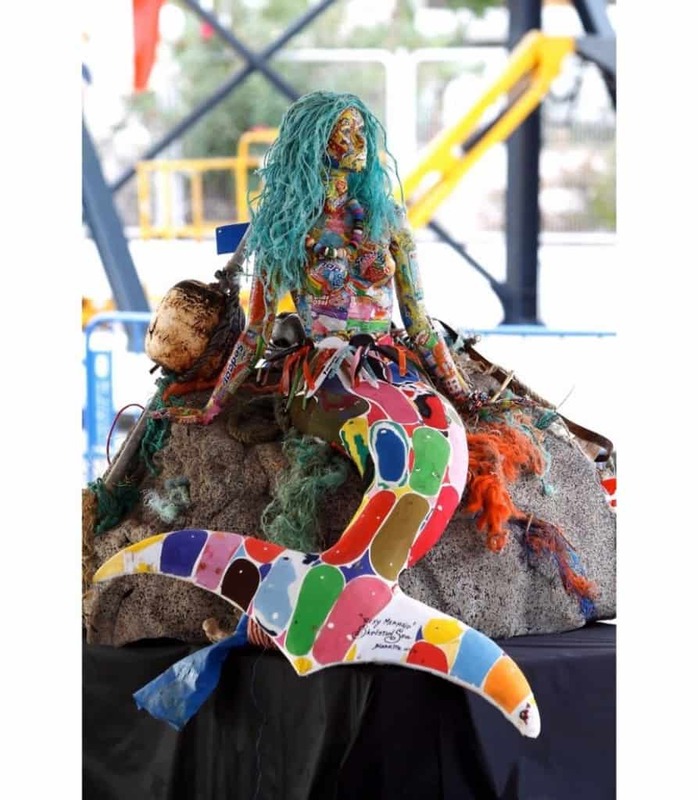 As you can see in the image above, the creature has been formed by countless pieces of plastic, including brushes, combs and bottles. 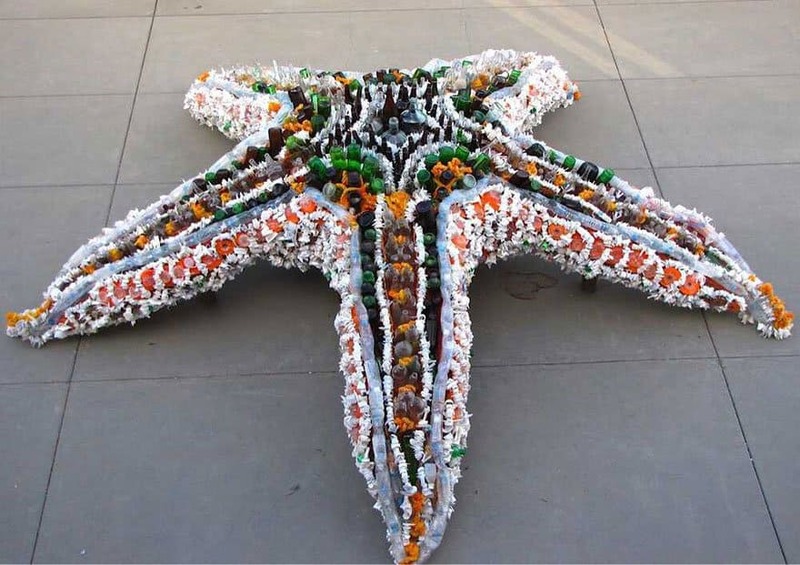 Here we can see some sea anemones and a couple of starfish created from waste. 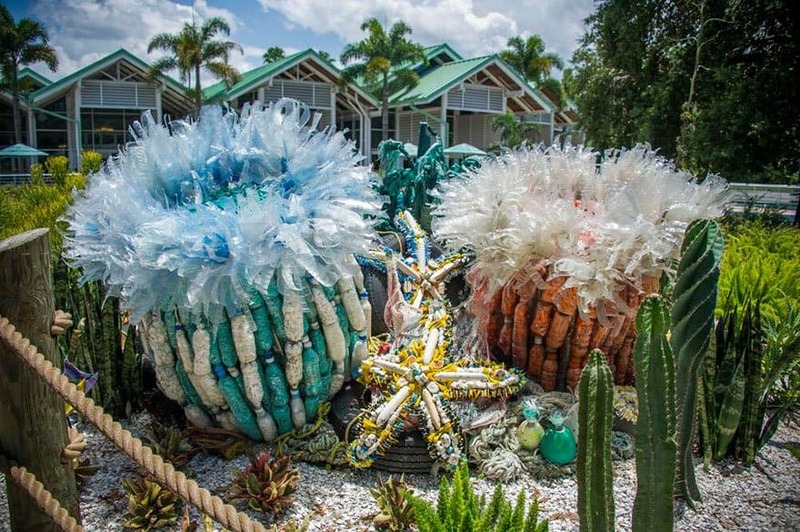 It’s shocking to see how much waste Washed Ashore actually find on and around beaches, which is more than enough to create these sculptures. 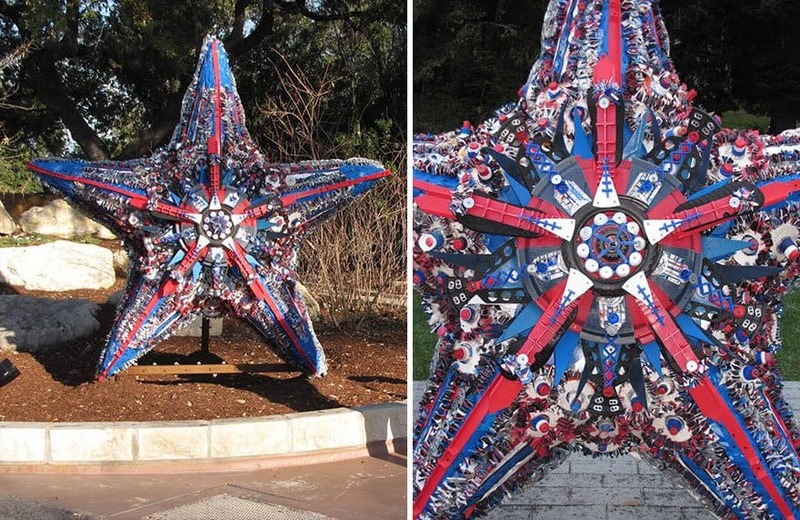 Here we can see another red, white and blue starfish. Maybe this is the Captain America of the sea? 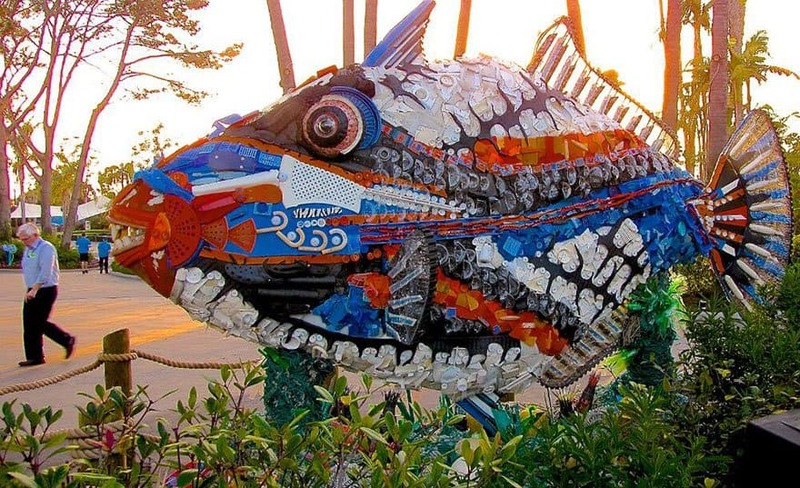 This fish sculpture is both impressive and large. 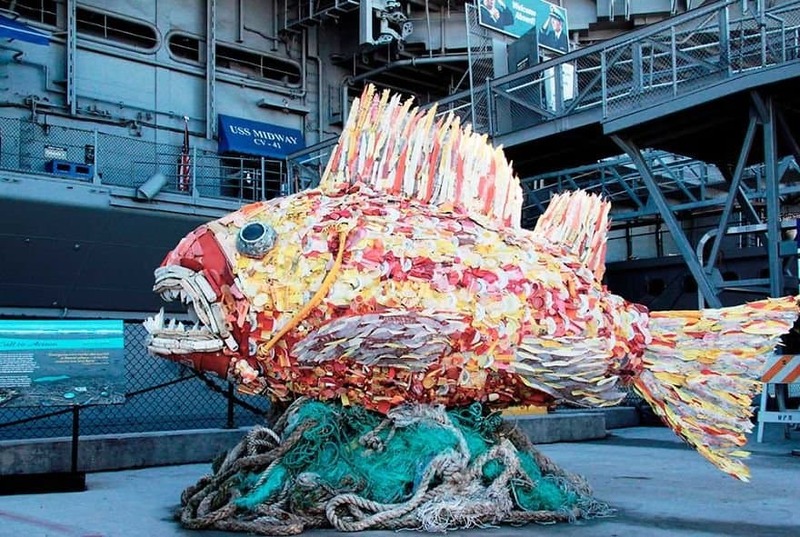 Hopefully with this on display, people will be more wary about where they leave their trash. This giant piranha looks like it’d be able to gobble a human whole. Thankfully, and sadly, it’s only made out of plastic. 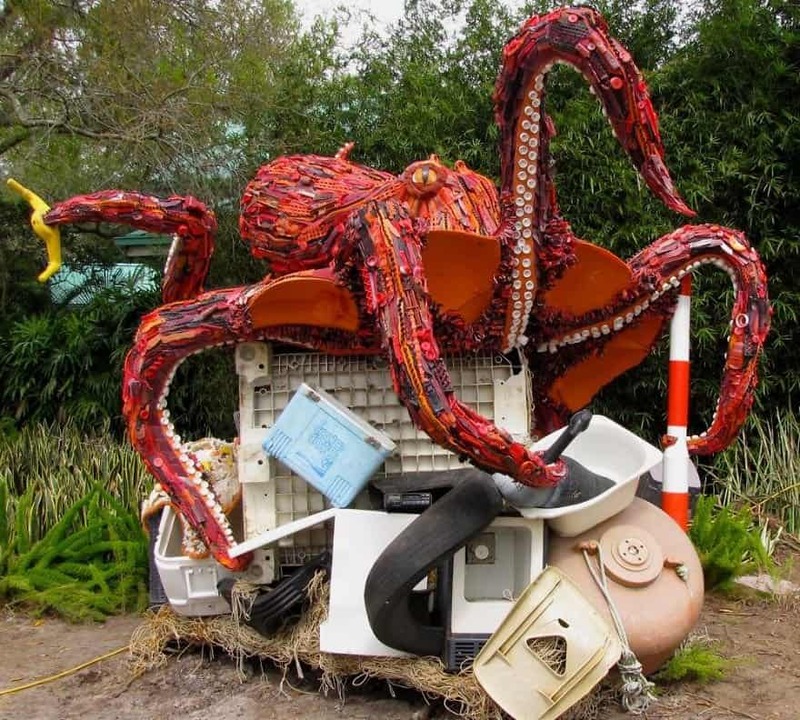 This octopus is fairly impressive, showing passersby a creature from the deep, while hopefully warning them that the octopus will chase after them if they litter. Ariel looks like she’s dyed her hair and painted her tail. In all seriousness, these sculptures serve as a well-deserved warning of people discarding their rubbish wherever and whenever they please. This Penguin doesn’t look too happy. 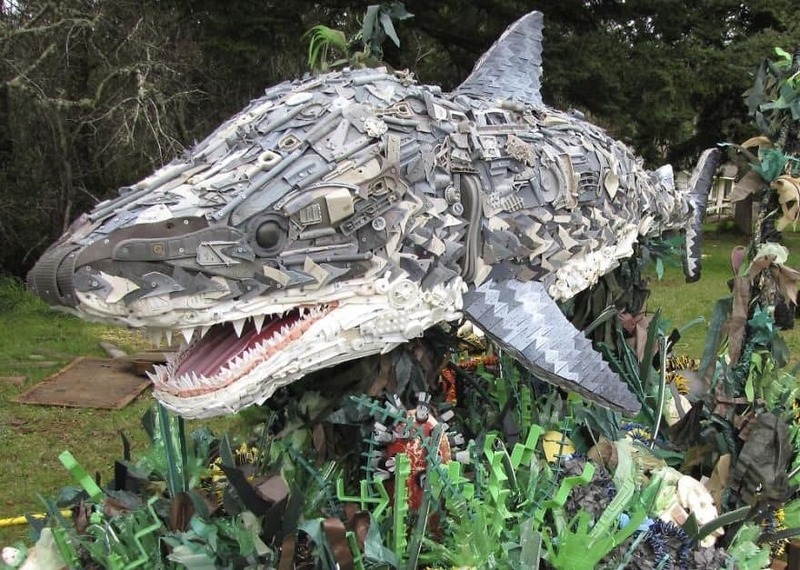 Maybe it’s because he’s made of out plastic, maybe it’s because there was enough plastic to make him, who knows. 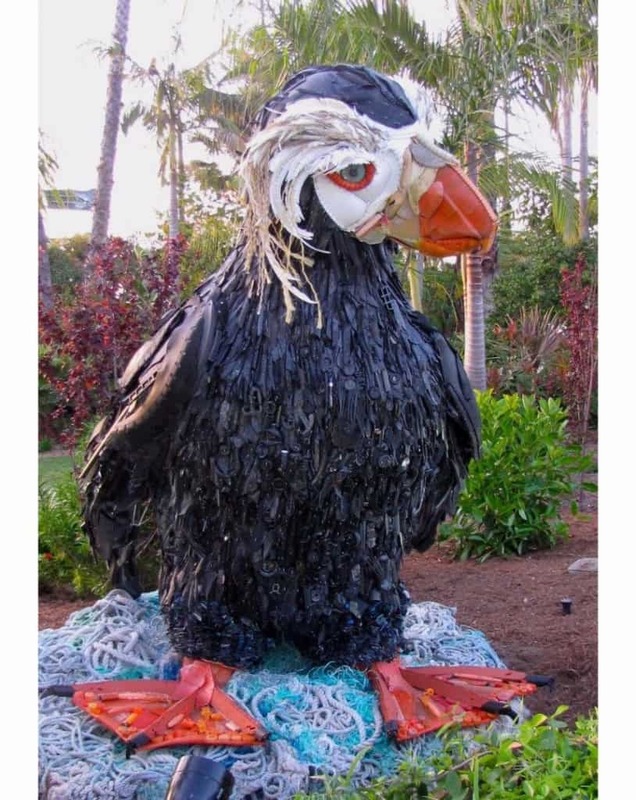 What we do know, though, is that people should be mindful of where they put their trash, as creating a monstrous plastic penguin like this must require a heap of rubbish.